Size: approx. 6 mm. Photo: 05/13/17, 11 pm. 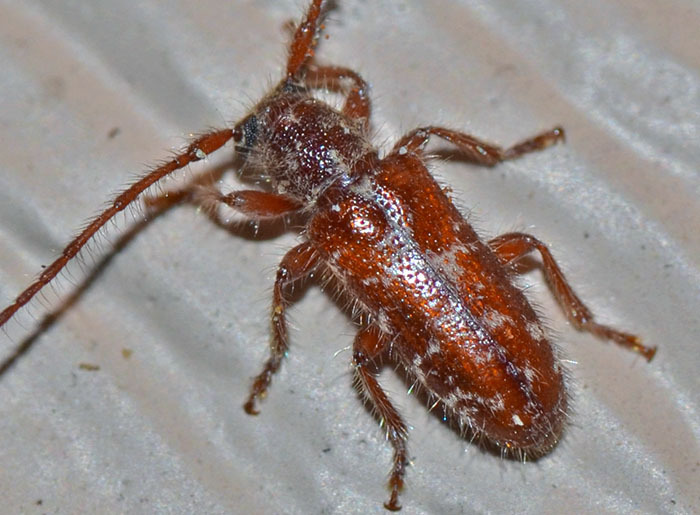 This flat-faced longhorn beetle is covered by fine "hairs"; a characteristic feature that is reflected in its species name. The larvae feed on pine trees (dead needles), spruce, and conifers (Chamaecyparis).